Chris Lambert is one of the world's top tattoo artists, now available for unique collaborations. The image you see above is from my most recent collaboration – The ‘1460 Chris Lambert Boot’ by Dr. Martens™. This unique collaboration consists of different custom tattoos on each boot that have been screen printed on to Backhand, a soft, comfortable leather. The boot has been sold all over the world as a limited edition run and I am proud to say that press reviews for the run have been extremely positive. 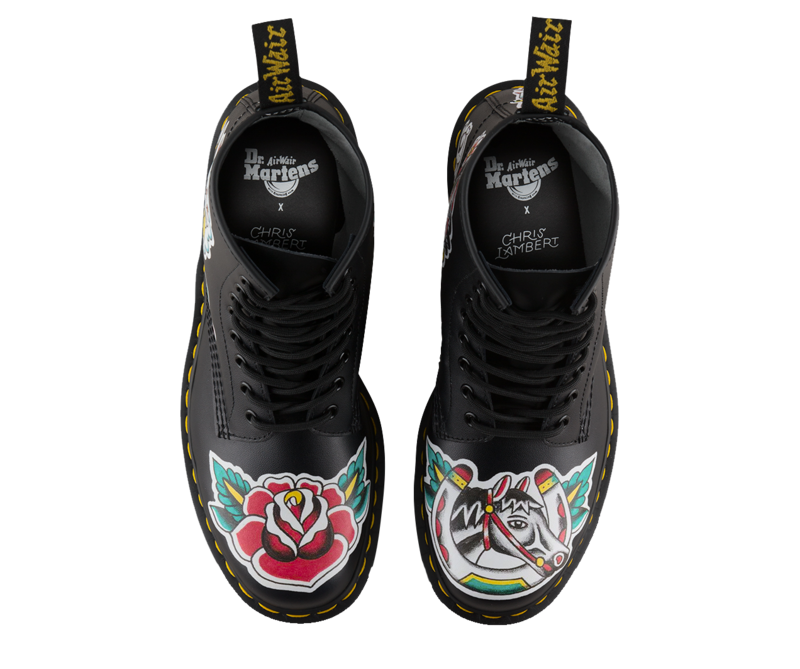 My tattoo art is grounded in the influence of Japanese tattooing on early 20th century Euro-American designs and I feel my style has not only contributed to a beautiful new product for Dr. Martens™ but it can also contribute to other premium brands also. I have a number of ideas for unique collaborations that can complement my knowledge and craftsmanship as a tattooist with quality products produced by others. I believe such collaborations can transcend the world of tattooing; to the worlds of high fashion, art and jewellery and even allows those who would not normally get tattooed the ability to own a piece of tattoo art – especially in parts of the world where tattooing is still illegal. If you would like to speak to me regarding any ideas you may have about how we can collaborate, or to hear more about my own ideas of how we could work together, please let me know.